Realme C1 was first introduced in India in September 2018 with 2GB RAM and 16GB RAM onboard. 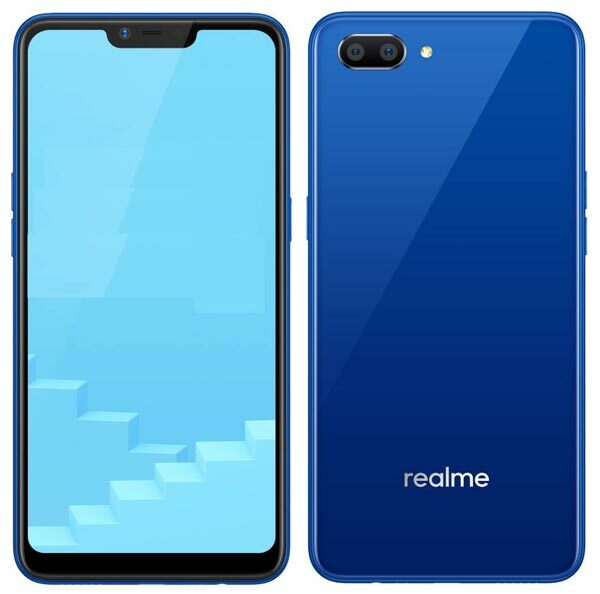 Now, Realme has launched 3GB RAM variant of Realme C1 called as Realme C1 2019 in India. The 3GB RAM variant comes with 32GB of internal storage with no changes in the other specifications. Apart from the 3GB RAM variant, the company has also announced the 2GB RAM variant with 32GB Storage. Both variants will be offered in Mirror Black and Navy Blue and exclusively available via Flipkart and Realme.com starting 5th February 2019 at 12 PM. The 2GB/32GB variant priced at ₹7,499 and the 3GB/32GB at ₹8,499. Earlier (September 27,2018): Along with the power-packed Realme 2 Pro, the company has also announced a New C series smartphone dubbed as Realme C1 in India. It is the 2GB RAM variant of RealMe 2 which was introduced on 28th August. Except the RAM, Front camera, and Storage, both devices share the same set of specifications. The newly launched RealMe C1 has 2GB RAM, 16GB Storage and a 5MP camera wherein the RealMe 2 has 3GB/4GB RAM, 32GB/64GB Storage and an 8MP front camera. To recall, the Realme C1 is an entry-level smartphone comes with a 6.2-inch HD+ Notched display and fuelled by the Snapdragon 450 Mobile Platform with a non-removable 4,230mAh battery. It supports Dual SIM and also equipped with a dedicated microSD slot. For photography, it has 13+2MP Dual camera setup on the rear side and a 5MP camera for selfies and video calls. The RealMe C1 supports various AI features as AI beauty selfie, AR stickers, Bokeh mode, AI face unlock, AI album, AI gaming Acceleration etc. This device boasts a Diamond cutting design with 12 layers of nanoscale composite material. Furthermore, It runs on Android Oreo-based ColorOS 5.1 and also supports Dual VoLTE to make HD voice calls using both SIM slots. The Realme C1 is available in two colors – Blue & Black and available to buy exclusively via Flipkart at an introductory price of ₹6,999. It will go on sale starting 11th October 2018.